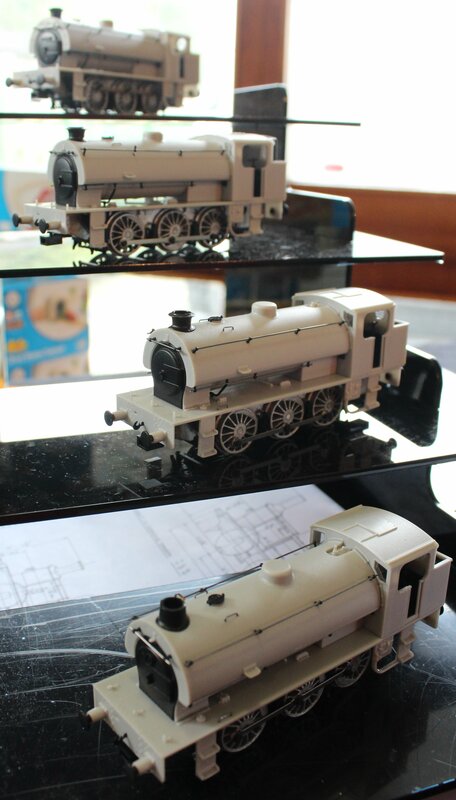 Dave Jones of DJ Models attended the Watercress Line’s Autumn Spring Steam Gala, giving the opportunity for model railway enthusiasts to see some forthcoming products from the youngest ready to run model railway company. Although the company is the “new kid on the block”, Dave Jones is no stranger to model railways. A former employee of Dapol, Dave made the brave move to set up an independent company. I was looking forward to meeting Dave and seeing progress being made on some of the models. The model railway business is an interesting industry. For some time now, models are almost all exclusively produced in China and the market (myself included) demand high quality products at relatively low prices. It is so easy to make an error or compromise too far when making a model. Handling the logistics of an international production schedule for an audience who expert much can not be easy. Even giants like Hornby struggle to get it right! Dave Jones’ approach is unique, but simple – he is open and honest with every step of the process. Meeting him was a real pleasure and I have to say that I was very impressed to hear the depth of research and the thought of the end-user in all he does. I think we can expect great things from DJ Models. 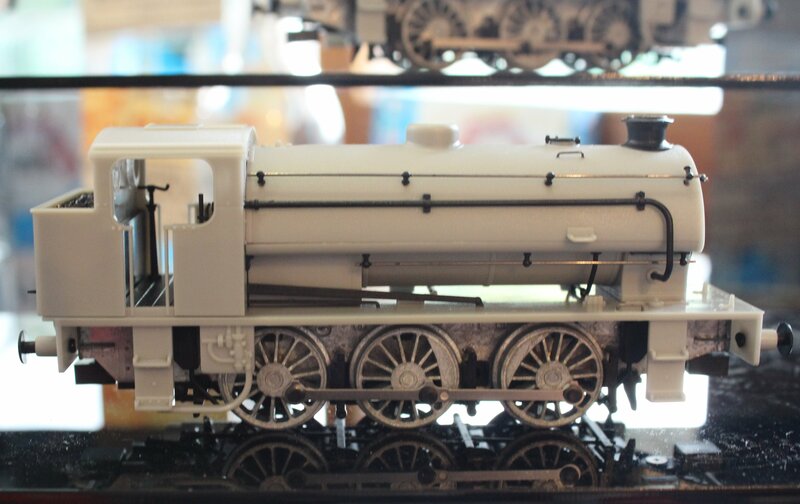 Back in September I rather flippantly remarked whether Hattons and DJ Models might re-consider producing a new 00 scale King class after Hornby announced the same. I have to say that having met Dave Jones, I wonder if Hornby should be the ones having second thoughts. Anyway, on to the models! 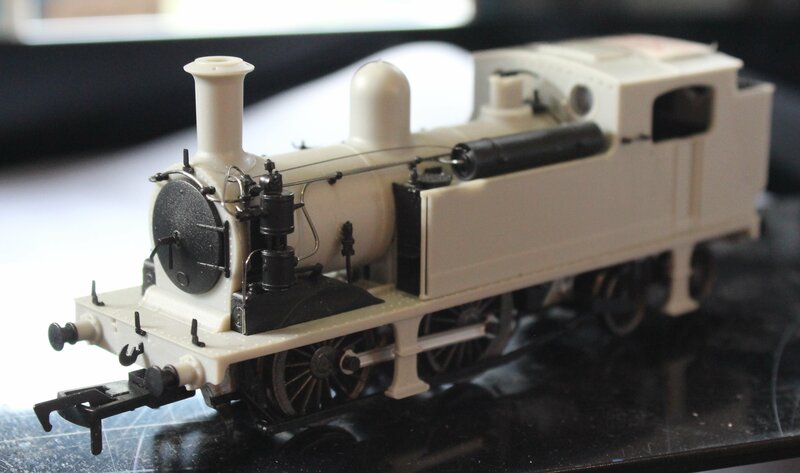 Pre-production samples of four Hunslet Austerity/J94 00 scale models were on show and looked very promising. I am quite a fan of the humble saddle tank and often feel that they are undervalued (click here to read more.) Yet they are effectively the backbone of standard gauge steam in the UK. 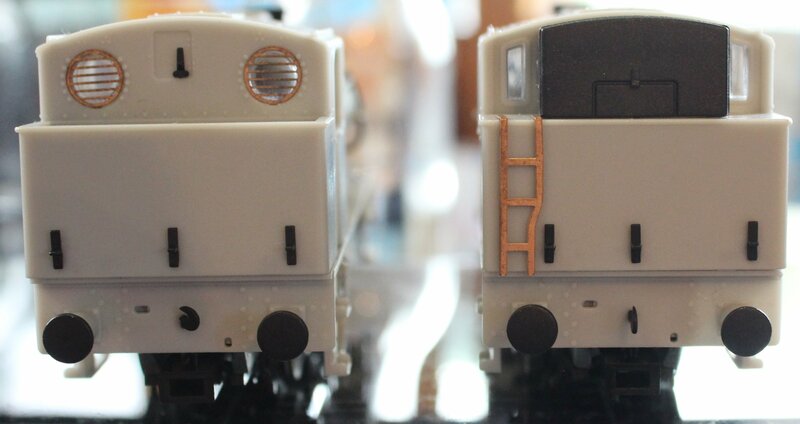 Hornby’s ex-Dapol model is ok but looking a little dated these days (click here to read the review.) As you can see from these pictures, the new tooling caters for many variations of this class. 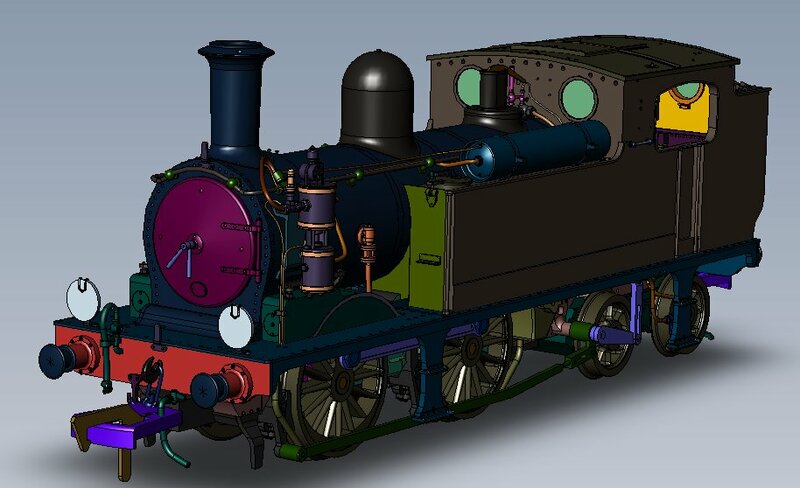 It already looks far more refined than Hornby’s model, but still has some way to go before being complete, so criticisms at this stage would be premature. Perhaps one of the most remarkable differences between the old and forthcoming models was something that I can not share here. Dave played a video with a new SH Models austerity in action. 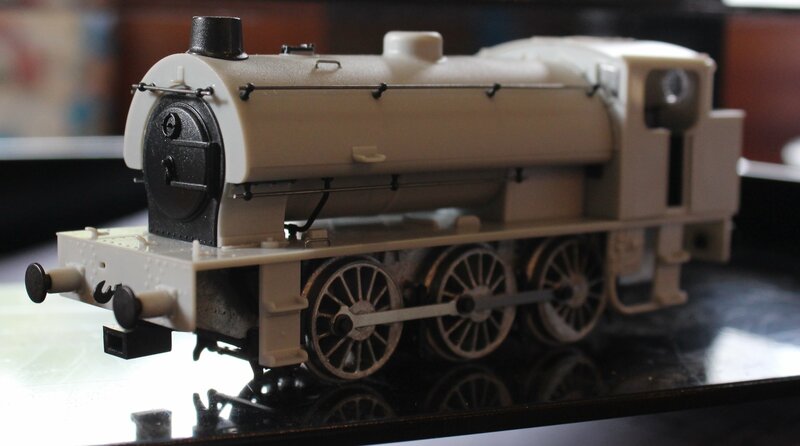 It had a quiet mechanism, perhaps not silent but still a lot quieter and smoother than the old Hornby model. Of interest to digital users was the DCC socket, which in common with the Kernow Beattie well tank can be found by opening the smokebox. 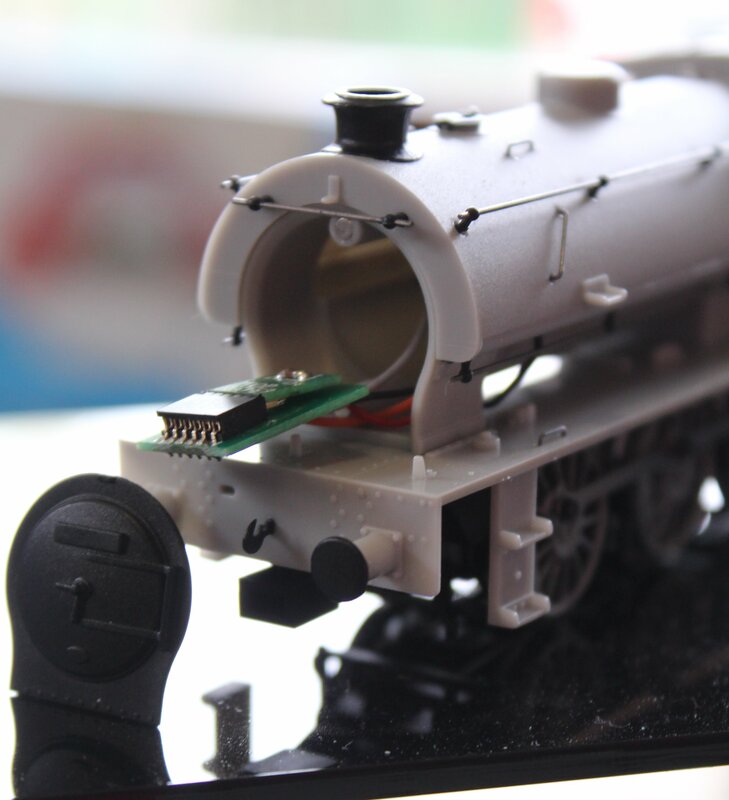 It looks very easy to fit a decoder, perhaps too easy as no one will come to this website looking for a DCC fitting guide! Many detail differences were being catered for and from the looks of things, this was at a more advanced stage of development than the austerity. The character of this tank engine has been captured remarkably well. Interestingly, whilst chatting to Dave Jones, he mentioned that the average tooling costs for a new model locomotive is around £100,000. Quite a sum of money really and it shows how popular our hobby must be, a reassuring thought. All in all, there’s plenty for model railway enthusiasts to be excited about! Many thanks to Dave for being so chatty and allowing us access to these samples to be shown here. 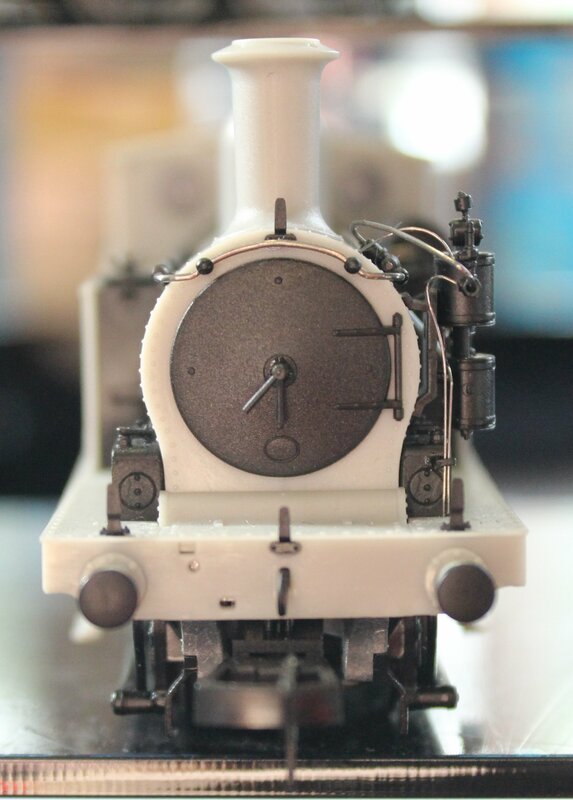 To read more information of future 00 scale steam locomotive model releases, please click here. To watch a video of a pre-production J94 model in action, please click here. 31/10/2014 in News - Model Railway. Cant see any damage on the handrails of the O2, if your eluding to the wire from the air tank that’s supposed to be there. Thanks for the comment and you are quite correct, the handrails are in place. The cable between the air tank should sit flush with the boiler, but on this model it had been bent upwards. Dave Jones pointed out that the wires had been knocked between handling and moving to various events. If you compare it to the CAD taken from Graham Muz (http://grahammuz.files.wordpress.com/2012/11/image6.jpg) you will see the difference. I hope that helps clarify things. Thanks for pointing out the mistake, it always helps to have feedback, it allows things to be corrected. These appear to be very impressive samples, Dave. I wonder how easy gauge conversion will be as I operate in EM? If they run as well as they look will open up a whole new range of possibilities in our RTR scene. If Dave is bold enough to tackle a North Eastern Q6, dare we hope for a Scottish prototype?